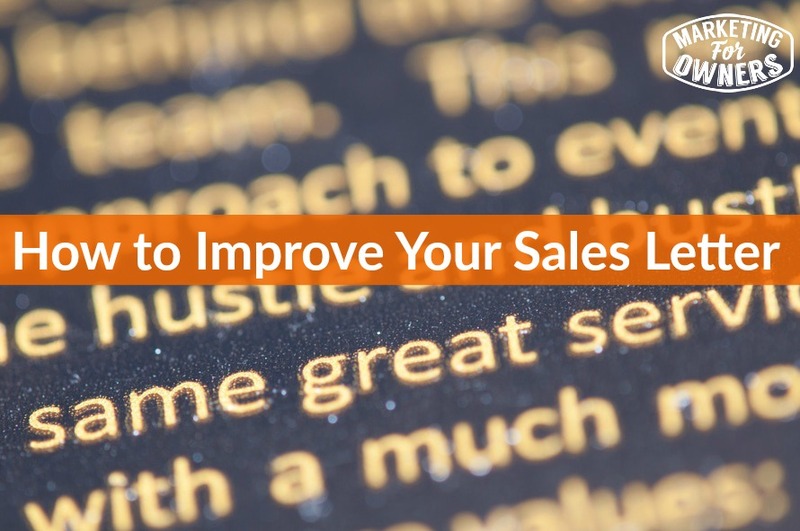 Today I’m going to talk about sales letters. Now firstly, I guess it will make sense to me what I explain when I say sales letter. By that, I mean any form of communication that goes from you to a potential client or to a client. So this could be the copy on your website. This could be a quotation that goes out. This could be an email. Anything that would describe your products or your services where you hope to get, eventually a sale. A purchase from your potential client. It’s very simple to improve. I read many of these, and I see them online and offline and coming to me every day of all sorts. And in general, most of these are just not very well thought out. And it’s not, it’s nobody’s fault. It’s simply that we haven’t thought about it because we’re too busy with other things. And there is no easy access to the knowledge. Now I learned this through experience and paying expensive people to find out these details. Very successful people, who make lots of money using these processes. But in basic terms, you have to remove the ‘We’ from your copy, from your letters. because if you keep starting sentence and the paragraph with the word ‘We’, then it tends to all be about you. Whereas the client, or the potential client is only interested in how you can affect their lives. They are not interested in you, us. They are only interested in their own end. Now this may seem a bit wishy washy, or you might think it’s all to do with psychology and so on. And maybe it is, but it is the way it works. And it’s a way of thinking. If you change the way you write these things, and change the perspective from your point of view to their point of view. Then it changes everything. A better way to explain this is, when you’re explaining your product, you generally explain it in terms of features, the things about it. So it is made in the USA. It has a 5 year lifespan. It has a 3 year guarantee. It’s everything about the product. However, what you are in effect doing to get the person to buy it is solving their problem. And helping them have a better life, a better day, a better business, a better something, you are improving something. So they need to know how that effects them. Now you therefore need to convert those features into benefits. They need to be benefits. Benefits to the client, and I’m going to give you one simple way to do that. So for instance, if you say it has a 3 year guarantee that is a feature. And this is how you improve your sales letters. Just add this at the end, ‘So that’. Simple 2 words, 6 letters. ‘So that’. It has a 3 year guarantee. So that you don’t have, etc. you don’t have to worry about. . . Think of that on the end of every feature sentence, every bullet point. Then you get to word it to them and you will be explaining how that works for them. Do you get that? It does work. This seriously does work. Do a search on Google, look up some websites and look at the About Us page. Or the front pages, they say welcome to our website or something like that. What a waste, what a waste of words. And on the About us page, go and look, it says, ‘We are a…’ and it will say, you know you’re looking up something like Joe’s landscape gardening, it will say, ‘We are a landscape gardening company’. What a waste of words. It’s obvious what you are. It’s in your title. Yes About us, but real about. How many of those sentences start with We. Now you’re going to say, but it’s about us. It still doesn’t have to be like that. You can explain the benefit to the client. You maybe this way, and the benefit is, to you is whatever. So think of it. Always being from the client’s point of view. Now if you apply that to your quotations, and you instead of saying, we include, or if you have to say, we include x. say so that you. Yeah think of it in benefit to them. This really seriously does work. I’ve been doing this for many many years. Back in the, I mean a long time, like 20 odd years using this process. And it does not fail. So if anyone ever writes copy for me, if anyone would ever write webpages, I would ask them to go back and try and remove as many instances of the word ‘We’ as possible and replace them with the word ‘You’ where possible, and change the perspective. Simple as that. Don’t worry. It’s going to work. Don’t be scared. Okay. So today is a Monday. And we always have a book for the week. Today I want to give you some inspiration. 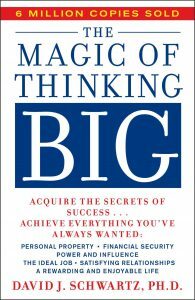 So today, this week’s book is ‘The Magic of Thinking Big’ by ‘David J. Schwartz’ as Doctor Schwartz, Doctor David Schwartz. Don’t know what he’s a doctor of. But he is one of the leading motivational writers in, it just is. But you do need to learn and understand habit of thinking, and behaving in ways that will get you there. 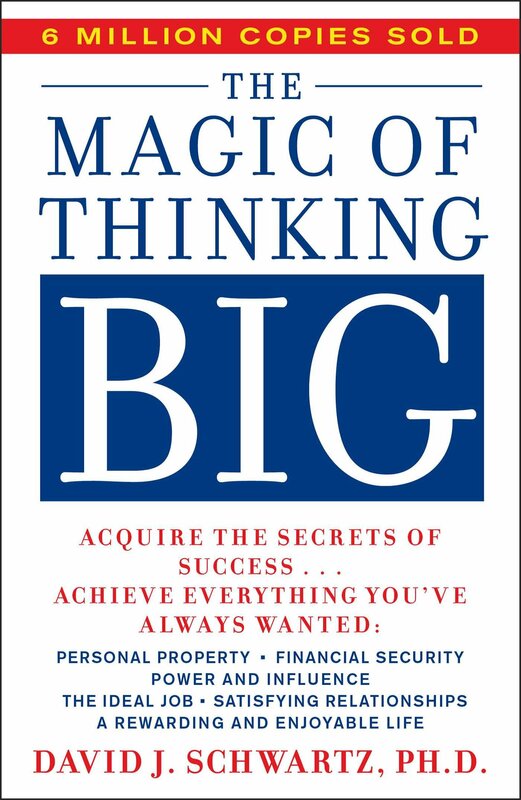 So he explains how to think big. How to think in a way that will get you a better job, get you better results. It is a good book. I think you’ll thoroughly enjoy it. Go try it out. I’ll be back tomorrow.